Here are the areas that I have found to be causes and the cures for each one. The Rain Tray Drains are the leading cause of water migration in to the interior. Plugged drains cause a lot of mischief. blown fuses, but can lead to corrosion of the plugs, and relays. 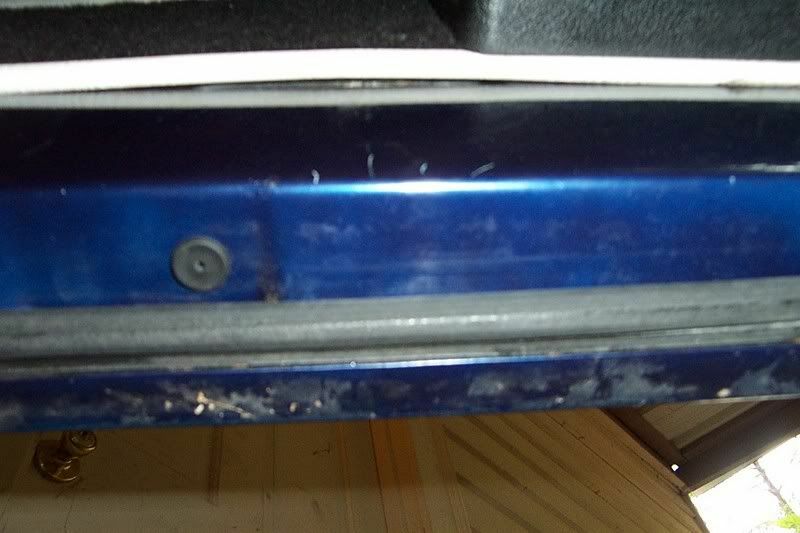 Holes from rust around the front windshield casket can cause the same. Note that the Fresh air plenum is removed. 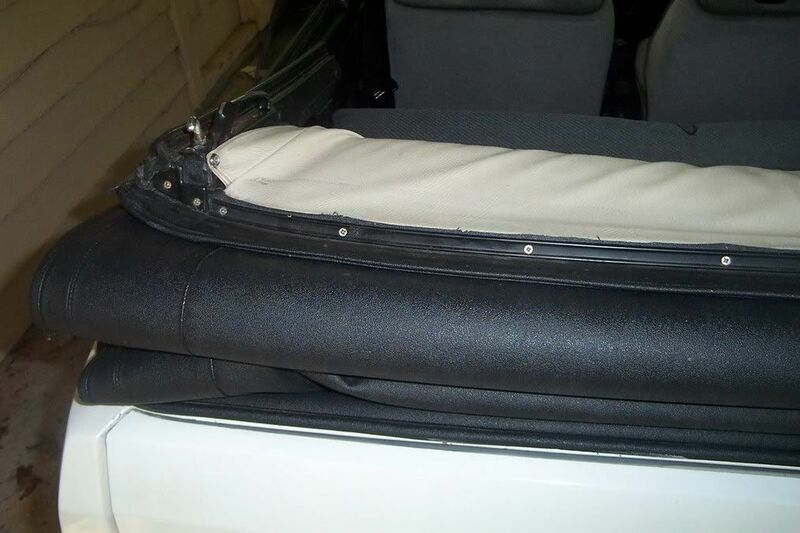 If you have had water migration you will want to remove the 2 screws that hold the Fresh air inlet to the rain tray (under the passenger side knee bar are 2 Phillips screws) remove the cover and using new foam (Available at your favorite hardware store) then reseal it. This foam dry’s out and either turns to goo or crumbles (Depends on the material the foam is made of). 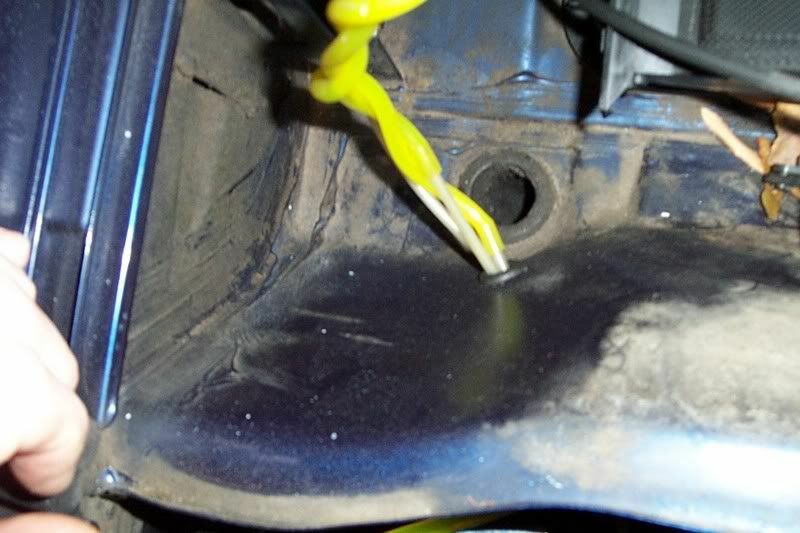 You have to clean it off the old plenum, and the hole. 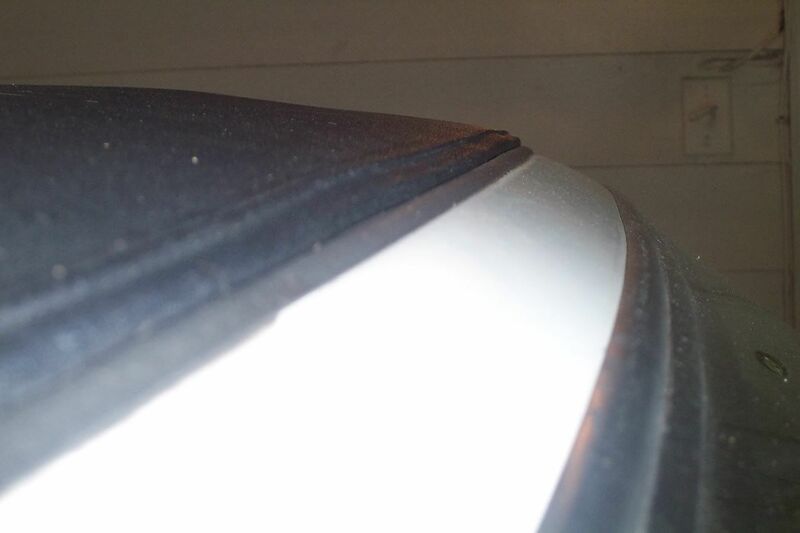 This is caused by a few things one a saggy or mis-aligned door being the big causes. 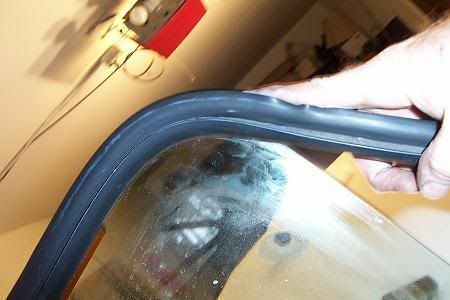 Here is what the door vent seal should look like. You have some adjusting to do. 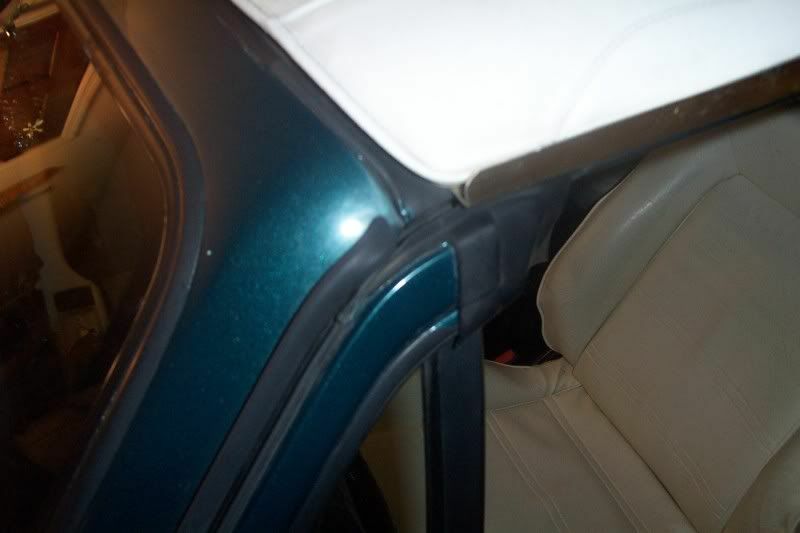 First and foremost is to get the Sag out of your door see fixing your saggy doors. The window has to roll up square to the seal it can't be angled. 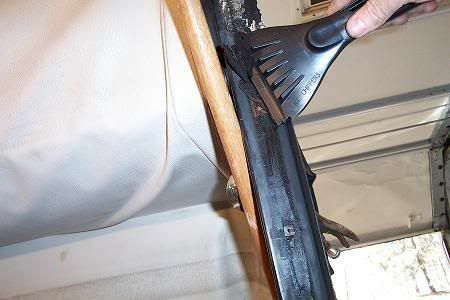 While you have the door card off now is the time to clean all the crap out of the bottom of the door. 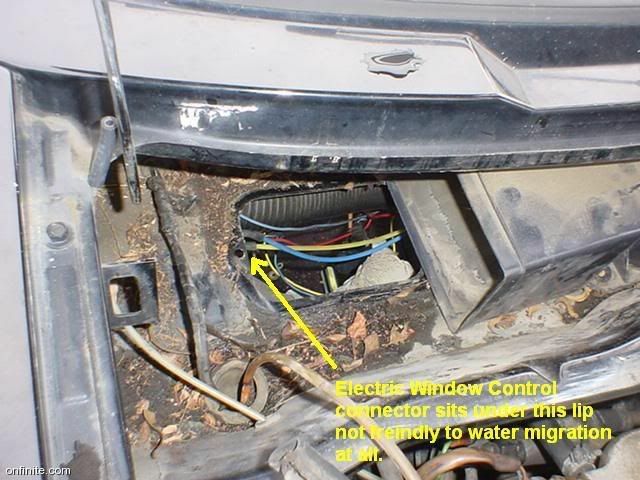 Leaves and dirt and broken window glass can impede the draining of water out of the door. 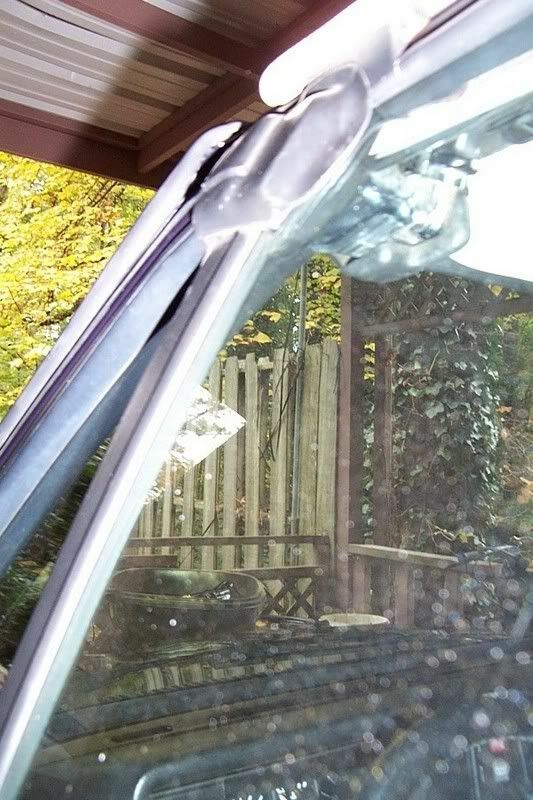 If you look carefully at the bottom edge of the door where the outer skin is welded to the inner frame there are tiny drains, that allow water that gets between the glass and the scraper to drain out prior to getting in the car. Debris in the bottom of the door will plug them suckers up. There is also a drain plug in the bottom of the door that if missing will cause water toenter the cabin and soak the carpeting. You can fill that hole with Silicone or Tape over it. 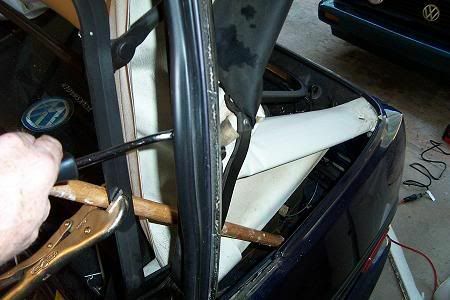 If your doors are full of water, then open the door and remove the plug to allow the water to drain out of the car. 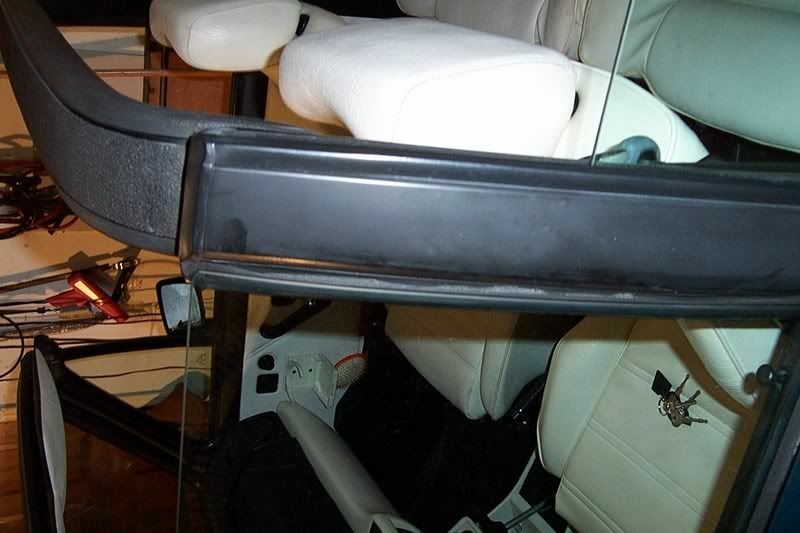 will need to loosen your door off the hinges (takes 2 peoples and a jack) and reposition your door in the frame to get that upper vent seat to be under the "A" pillar seal. 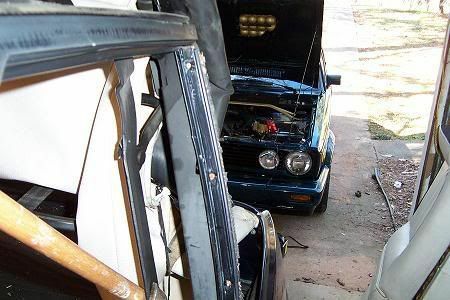 Another area that leaks quite a bit is the Frame to Windows seals. There are 3 of them per side, and they probably weren't adjusted correctly when the top was replaced so you will need to reset them. The window seals are seated in trays, and you have to take them out so you can get to the screws to reposition the tray however they placed closed cell foam under them that turns to goo, so you have to replace it. 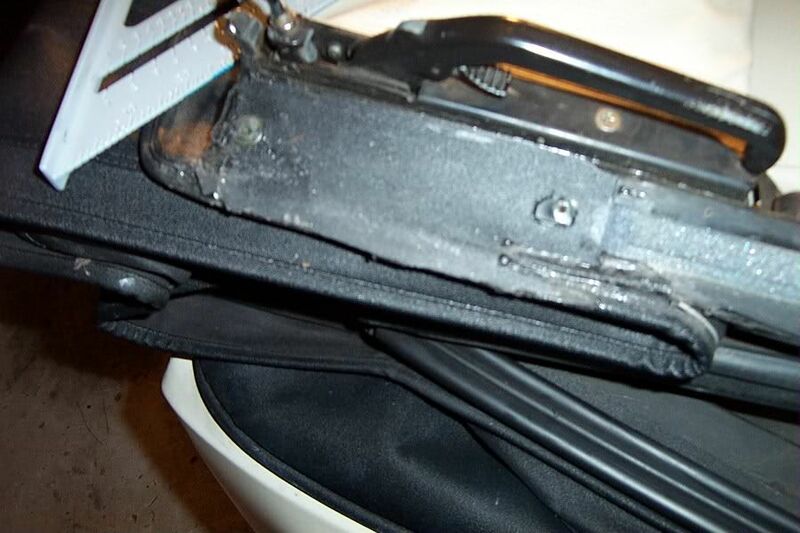 To remove the seals, you have to place a flat screw driver between the tray lip and the seal rubber, then carefully use the screw driver to pry it out of the tray. (similar to changing a bicycle tire) There are keeper fingers on the ends and you have to pull the seal up and out of them prior to taking them off. 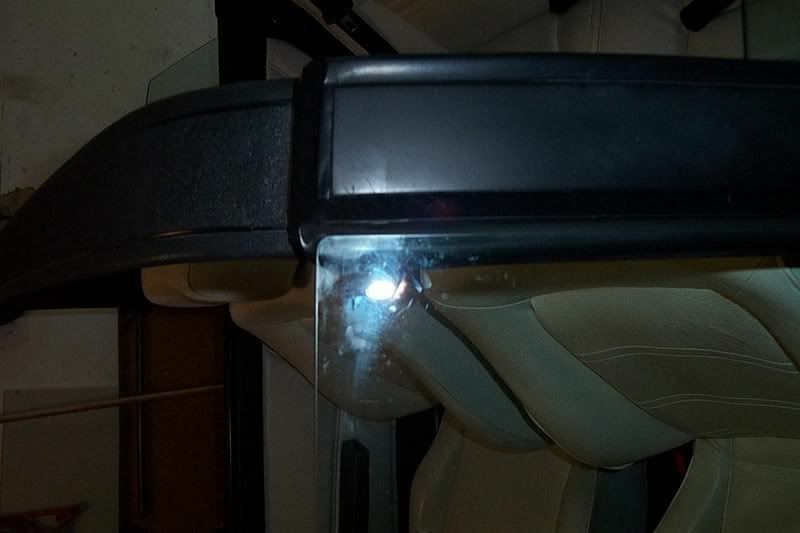 Now you can see the screws that attach the tray to the frame. ensuing a great seat for the glass to the seal... The glass will be centered in to the seal when you roll it up, and there will be equal seal on the inside and outside of the glass. Before you can reposition it, replace the foam, I used a plastic ICE scraper to assist then cleaned all residue off the tray and the frame with Brake Cleaner on a RAG. 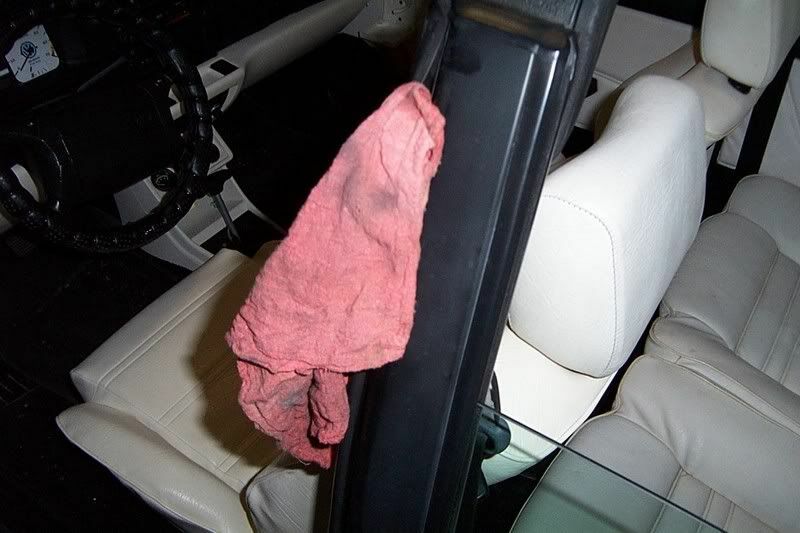 Don't over soak the rag as Brake Clean can eat Paint and plastic. 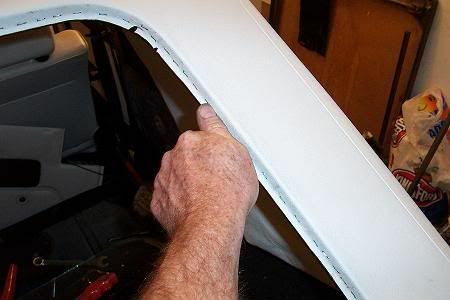 Make sure that you adjust the tray to lay flat as they usually bend a bit when removing them. 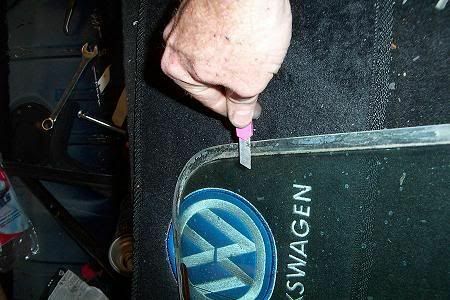 use a little WD-40 as a Lube to assist you in replacing the seal into the tray. To replace the seal, I usually hook it on the outside lip, then squeeze it in to the tray with a pop. You will probably have to slide it a wee bit left or right to seat it in the fingers. WARNINGS.... The Center TRAY because of the "B" pillar cut out is FRAGILE do not tug and pull on it be gentle. Remember to "pop" out the middle of it and then push it out of the fingers on the edges. 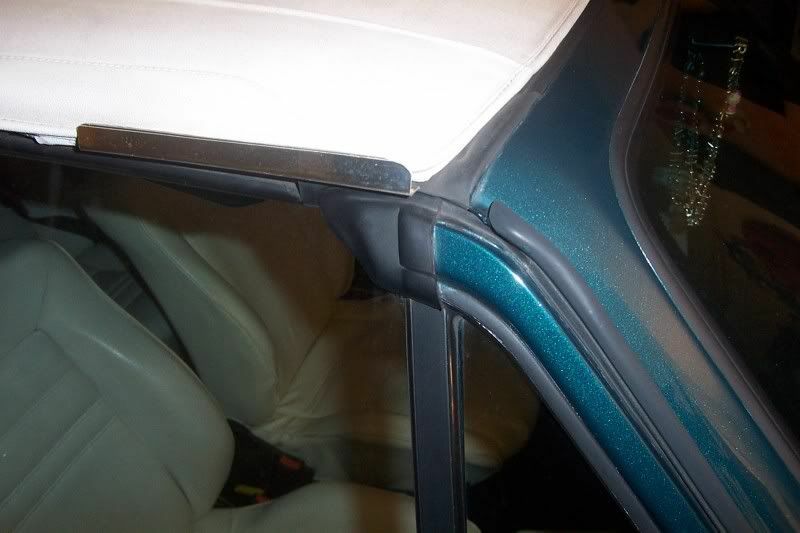 The Front most seal is GLUED at the very front to the top frame, and has one Screw on the very front lip that has to be removed first. Now we come to the "A" pillar seal. It has to be clean, and the wipers need to be plumped. 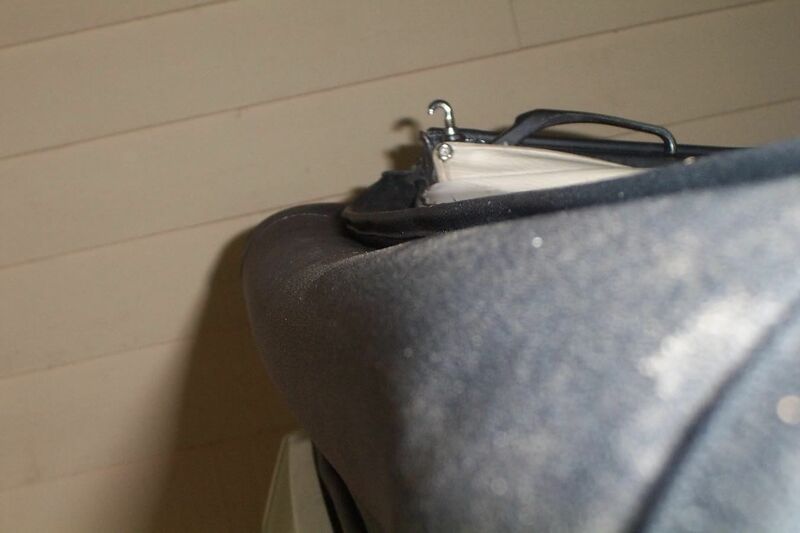 Your tops "A" pillar seal is clean then make sure that your J-Hooks are putting enough pressure on the frame to hold it tight. Using a 10mm wrench loosen the locking collar and Twist the hook in no more than one turn usually. Holding the hook with a pair of pliers re-tighten the locking collar, if you don't have a collar then find a nut, it is imperative that you have the hooks at the correct tension. If your top isn't laying flat when you close it you will need to adjust it. 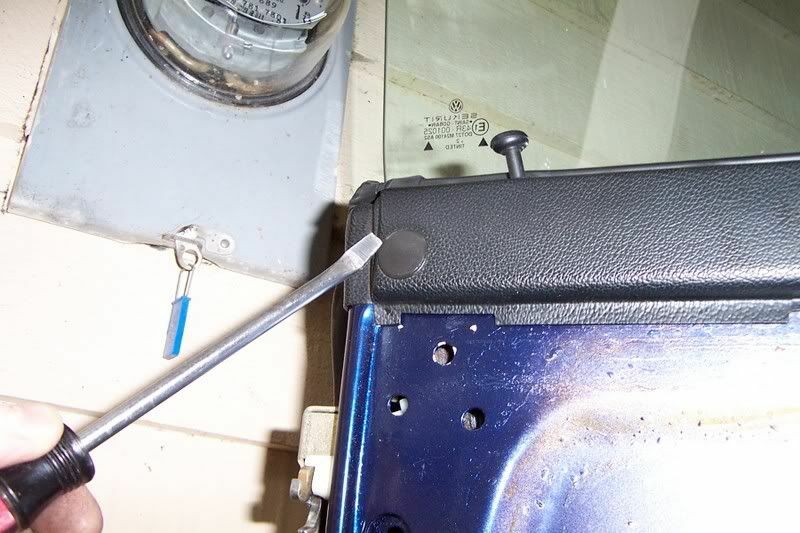 To adjust it open the top, you will find a re-enforcing strip that is held by 8 screws. 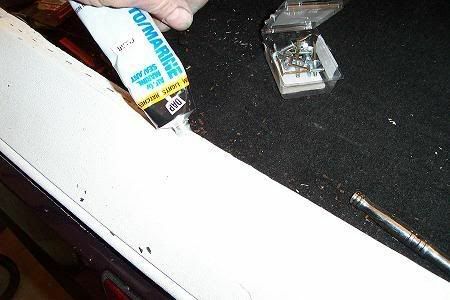 You will need to remove them and gently pry off the bar (do not bend it) if the previous owner glued the Top at that point then you will need to carefully separate the top material from the frame. Replace the bar and reposition the screws.... 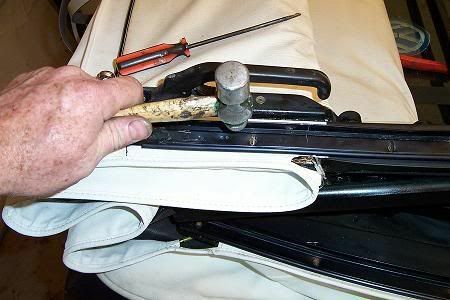 Working from one end of the top take 3 screws out at a time and pull up on the tops material, this will allow the tops edge to curl, we need a 45 degree curl up and replace the screws and fully tighten them move over to the next 3 untill you get the same curl to the whole length of the top. 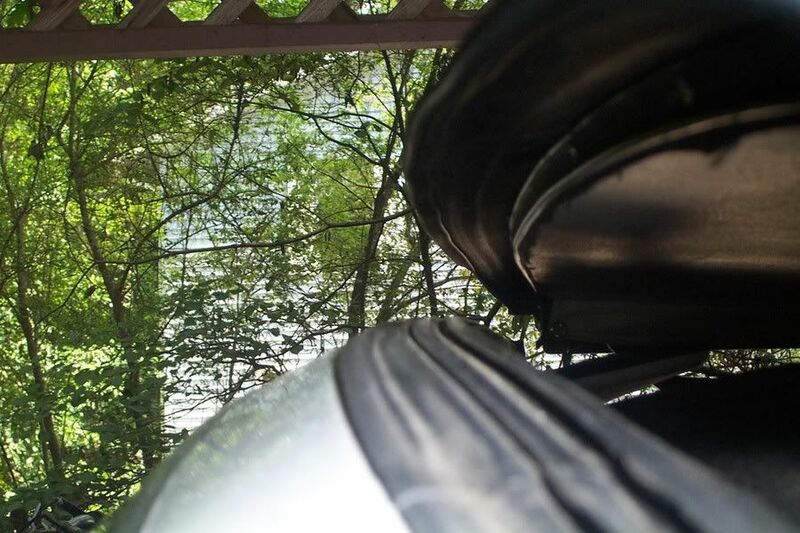 There are quite a few reasons that the rear window leaks mostly because the seal isn't fitting correctly whether it is the outer seal or the inner glass seal dirt can build up over time and distort the seal enought to allow water to migrate. 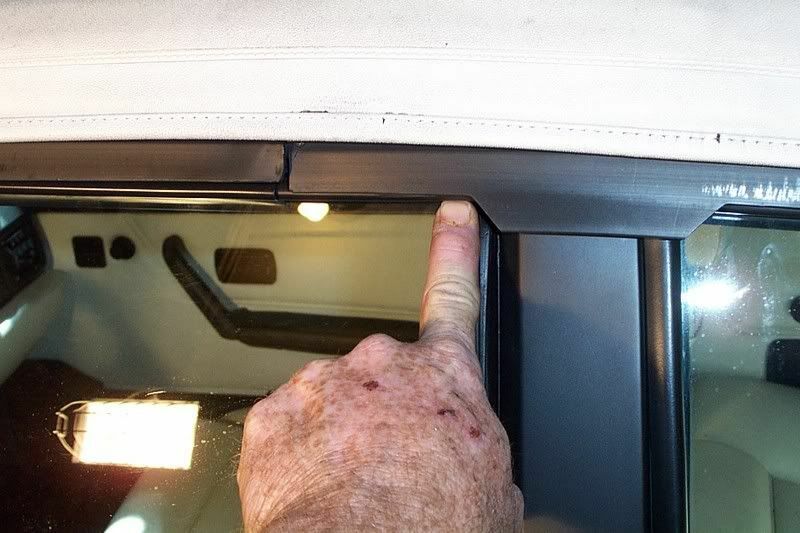 The best course of action is to carefully remove the rear window seal and glass. Best if two people do this. First from inside the car remove the connectors from the rear window defroster, gently pry them off with a flat blade. Now lift the inner lip of the seal and remove the wire from the seal and from around the seal and out of the hole in the bottom. Again if the previous installer glued the seal externally you need to be watchful as you can ruin your top. 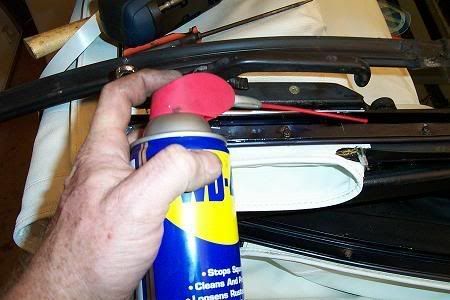 Gently take a WD-40 can and using the straw, insert that between the outer gasket lip and the inside of the frame and spray the entire perimeter of the outer seal. Give it a few minutes to work, Do the Same on the inside. On the outside of the seal carefully insert two thin flat blade screw drivers between the seal and the frame at the upper two corners... and gently pry the window out. DO NOT USE EXCESSIVE FORCE AND DO NOT DO THIS ON COLD GLASS. You will see the glass and seal start to come away from the frame, When there is enough area of free glass you can then start moving around the top and both sides to pull it free. IF your TOP is OLD then you do stand the chance of ripping it.... CAREFUL is the watch word. Now that you have the glass and seal out remove the seal from the glass by gently pulling it out. 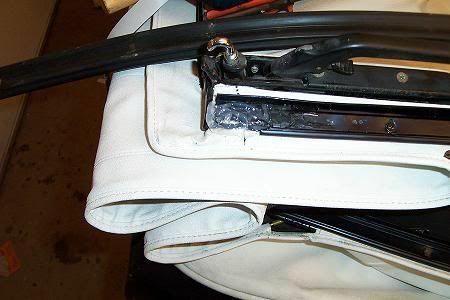 Clean the inner part of the seal with Lacquer Thinner on a rag that is wrapped on a screw driver... DO NOT PUCTURE THE SEAL. Clean all the goober and dead plumbers putty out of the outer part of the gasket. 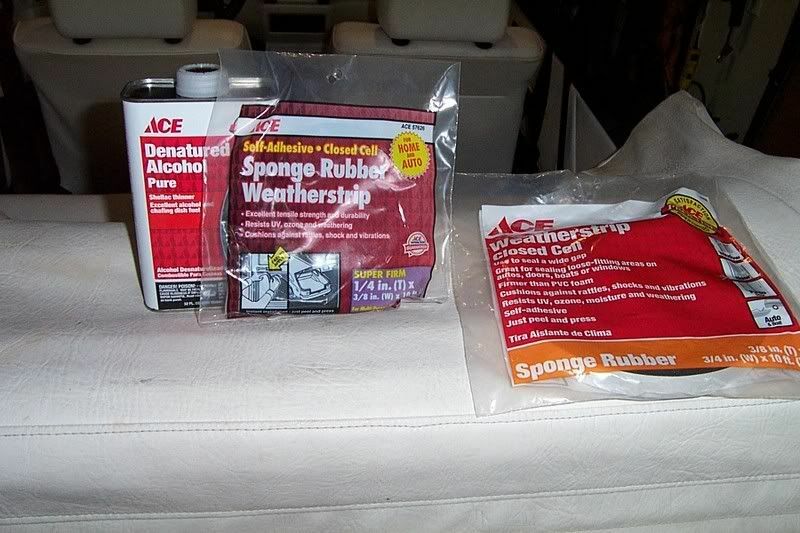 After you have cleaned the bejeesers out of the seal, use WD-40 to put a shine on it. Replace the seal on the glass the holes are on the bottom of the glass, and the left and right side, if you start the seal and hold it at a 45-60 degree angle to the glass it goes on rather easily. Now you need to go over the edge of the frame looking for rusted areas and or unseated staples. Repair what needs to be fixed, if you feel that the staples aren't laying flat then use a hammer and a punch and flatten them. 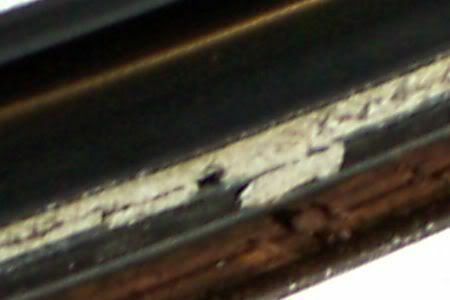 If there are real bad rust areas on the frame then you will need to carefully remove enough staples to peel back the vinyl and repair it. Re-staple it and seat them good. To replace the window, take a piece of Masons Twine and carefully wrap it around the gasket 2 times leaving plenty of bitter end to grab on to. Place the window in the bottom of the frame and then carefully let it fall into the frame. 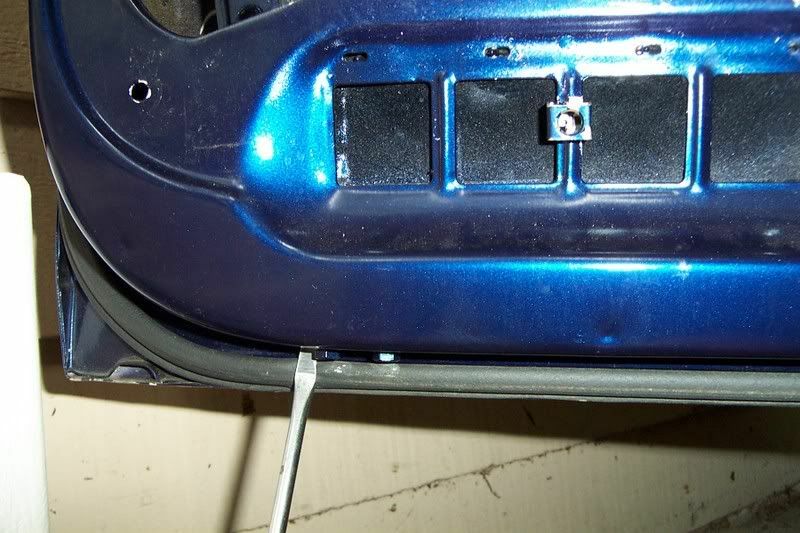 Once the seal is seated, then re-run the defroster wires in the bottom holes, the through the side holes and attach the connectors... Then you can push the wire under the lip of the gasket. If that doesn’t get the seal to seat against the glass you may need to PUMP your seals up. 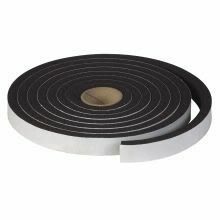 From what I have seen there are 2 types of "B" pillar seals a pre-90 and a post-90 I will call it, that is that the pre-90 seal is closed where the post-90 seal is open. To Pump the Pre-90 you can pierce the seal and insert either silicone or expanding crazy foam in to the cavity A LITTLE GOES A LONG WAY. 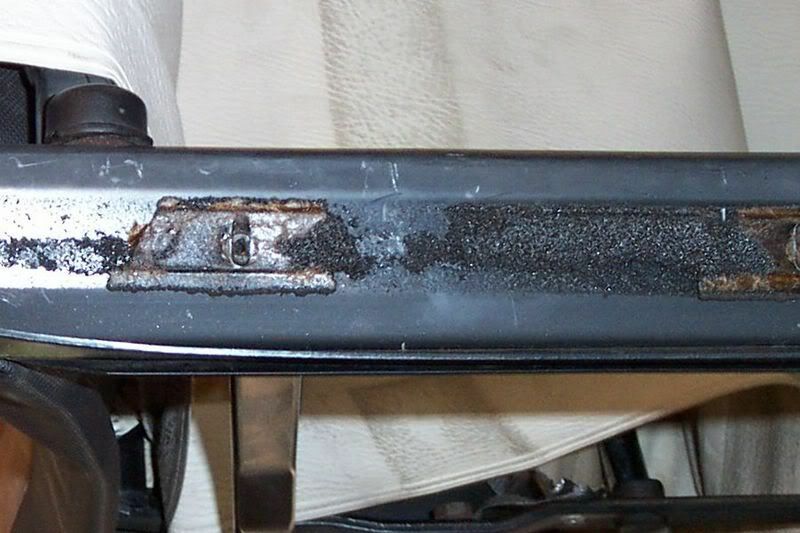 On the Post-90 you can clean the inner part of the seal and using Self Sticky closed cell foam expand the seal. Then peal and stick Trim it to "hide", and wallah you are done. This is only what I have found to be the major causes of leakage, there are probably plenty more. If you screw anything up...it’s on you.... not me.